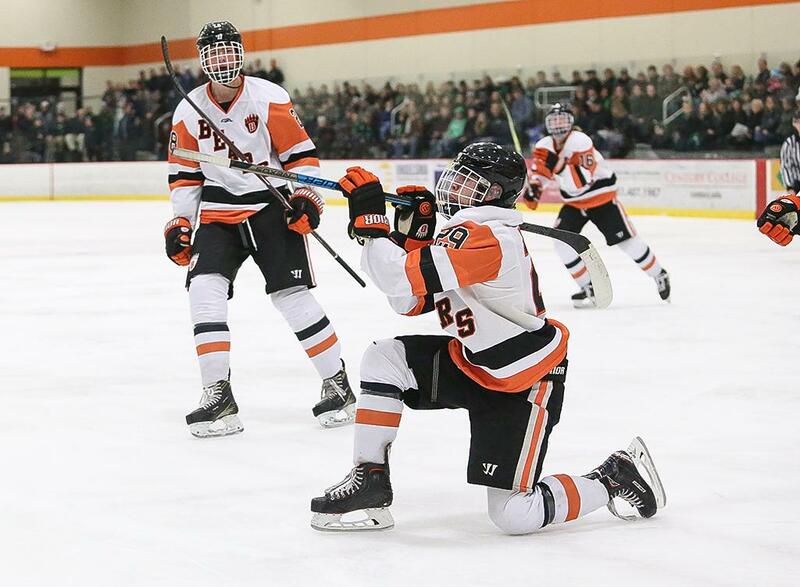 With over half the votes, Cheryl Myers' image of White Bear Lake senior forward Blake Meisterfor showing off his masterful "celly" skills while unloading an imaginary bazooka during his team's 3-2 win over Hill-Murray on Dec. 22 is the 2019 MN Hockey Hub Photo of the Year. Cheryl's picture will compete to be the MN High School Hubs Photo of the Year at the end of the spring season. The MN Hockey Hub Photo of the Year poll is for entertainment purposes only.